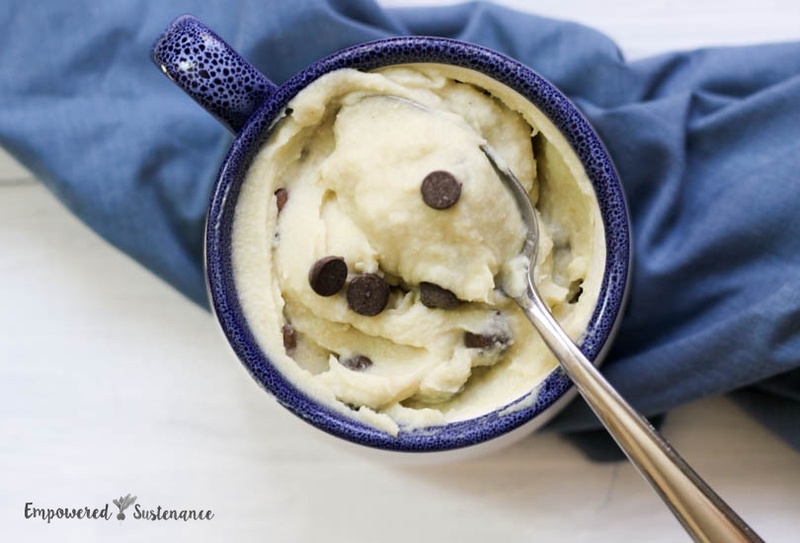 Inspired by my Cake Batter Collagen Protein Bars, this recipe may be even better because… chocolate chip cookie dough. Excuse me while I step on my soapbox for a moment, I will step off it in just a few sentences. I didn’t create this recipe with the intention of replacing a protein-based meal. Instead, this recipe is a way to incorporate two nourishing foods – collagen and coconut – into your whole foods lifestyle. No matter how “paleo” or “safe” or “clean” a supplementary form of protein, it shouldn’t replace the nutrients and ritual of proper meals. Japanese Sweet Potatoes – The sweetest of sweet potatoes, this variety has a creamy white flesh. They are lovely baked as a side dish, but for this recipe, they are first peeled and then steamed. This creates a moister texture which works well here. Collagen Protein Powder – I usually rally against protein powders, but Vital Proteins Grassfed Collagen is the exception to my rule. There are a whopping 18 grams of nourishing protein in 2 scoops (a scoop is about 2 Tbs.) of Vital Proteins Collagen. The collagen dissolves without texture or flavor in the recipe. Learn more about the benefits of collagen protein here. Coconut Milk – This recipe uses full-fat canned coconut milk, although you can substitute light canned coconut milk. I do not recommend using cartons of coconut milk due to the icky additives like carrageenan. Coconut Butter – Not to be confused with coconut oil. It’s available here, and here are 15 creative uses for this versatile ingredient. 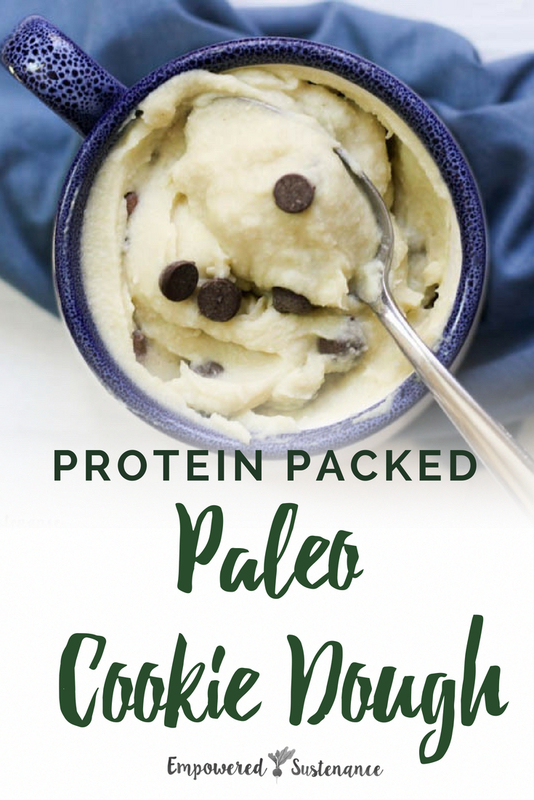 This protein-packed cookie dough hides a secret superfood ingredient: grassfed collagen. It dissolves without texture or flavor in the recipe. Also, feel free to adjust the sweetener to suit your taste. I find the recipe sweet enough without added sweetener. Steam the peeled/chopped sweet potatoes until tender, about 15-20 minutes. Let cool. In a food processor, blend the sweet potatoes with the remaining ingredients (except the chocolate chips) until creamy. You are welcome to make the happy mistake I made when I first made the recipe. I added the chocolate chips while the dough was slightly warm, and they got all melty and soft and yummy. But the result wasn't as pretty with bleeding chocolate chips. So if you don't want the chocolate to melt, make sure the mixture is cool before stirring in the chocolate chips. Enjoy or store in the fridge for a few days. this looks so decadent and rich! Can’t believe it’s made with sweet potato! what would you use as a replacement for vanilla flavoring? I’m wondering too–do you make cookies and bake them? yum! I just made this using cacao nibs instead of chocolate chips and it’s amazing. It’s great that there is so much collagen in it, but you would never guess from the taste. This cookie dough sounds wonderful. I am new to your site and very grateful for your posts. 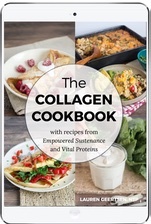 What would you recommend for vegans as a substitute for the collagen? I know I could use a vegan protein powder and I am worried the flavor of of the protein powder would overwhelm the other ingredients. I also would prefer to use a real food or product over the powder. Just wanted to share with you, that for those of us who must stay away from almost all sugar sources, Lily’s chocolate chips are awesome and are made with organic Stevia!! Plus they are free of everything else too! I saw that a couple of other people asked but I couldn’t find the answer…Can you use regular sweet potatoes? Where I live, I don’t think I’ll ever have access to Japanese sweet potatoes. I am sensitive to collagen. Can I simply remove it from the recipe or substitute it for coconut flour? I used reg sweet potatoes since that’s what I had on hand. It tastes good, but I don’t think it tastes anything like cookie dough. After trying it, I added some cinnamon which gave it a little better flavor. And honestly, it might be the texture as much as the taste that makes it unlike cookie dough. I don’t know that I like it enough to make it again or not.